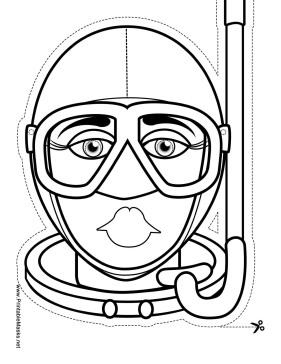 Color in this skin diver mask for a fun project when you can't make it to the beach. This lady diver has a diving suit, a snorkel, and big goggles. This mask is free to download and print.